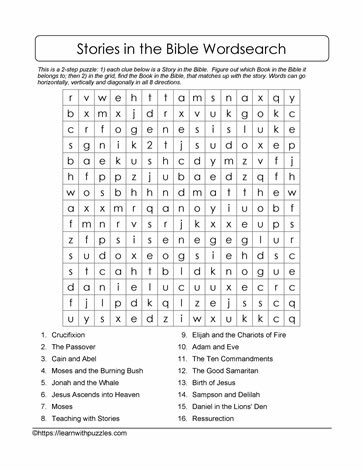 Match the wordsearch word clue with the bible story where the clue is found. Engage and stimulate student problem solving skills with this printable word search. Homeschoolers and students in elementary school will enjoy the challenge in making connections between the word clues at the bottom of the wordsearch grid.